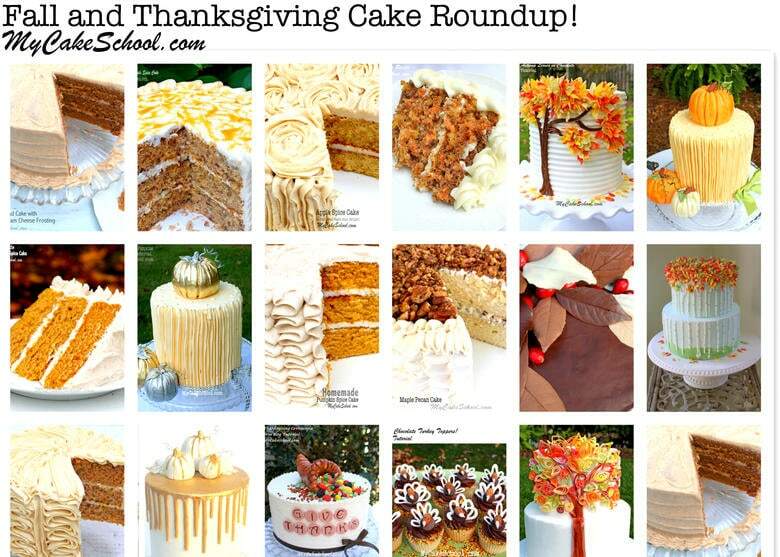 Today we are sharing a roundup of the BEST Thanksgiving and Fall Cake Tutorials, Recipes, and Ideas! Many of these cakes and recipes are our favorites from our site, but we are also sharing fall favorites from other cake pages too! You’ll notice that several of our favorite fall scratch cake recipes also have a delicious doctored cake mix version posted beneath. There’s something for everyone! I love everything about fall, from the cooler temperatures to the colorful changing leaves, and of course, the cozy spiced flavors of fall cakes and sweets! 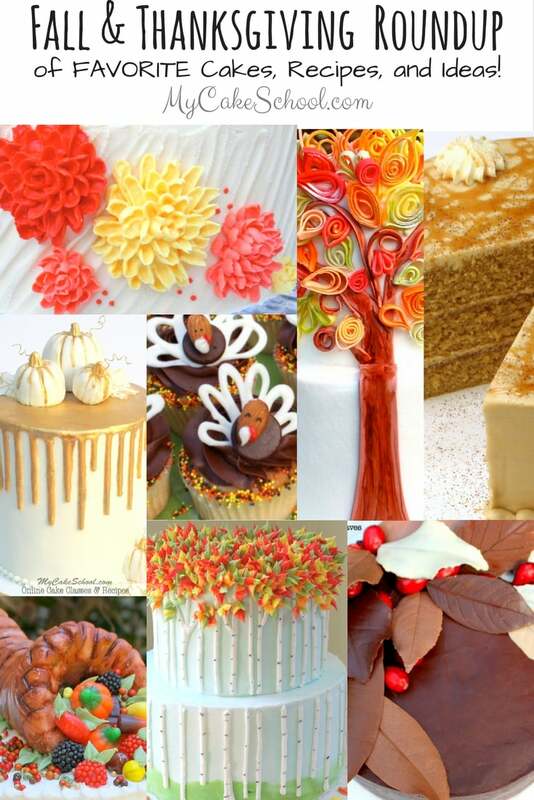 We hope that you find some inspiration for your fall cakes and sweets with this popular roundup of ideas! Enjoy scrolling through! First, let’s start with a free tutorial for Elegant Chocolate Leaves! I LOVE the look of chocolate leaves on cakes and cupcakes. In this cake tutorial, we’ll show you how to make them. (No special tools required!) This is such a beautiful look for any fall cake, and you can even tint white chocolate candy coating with candy coloring gels to create a more colorful look if you’d like! 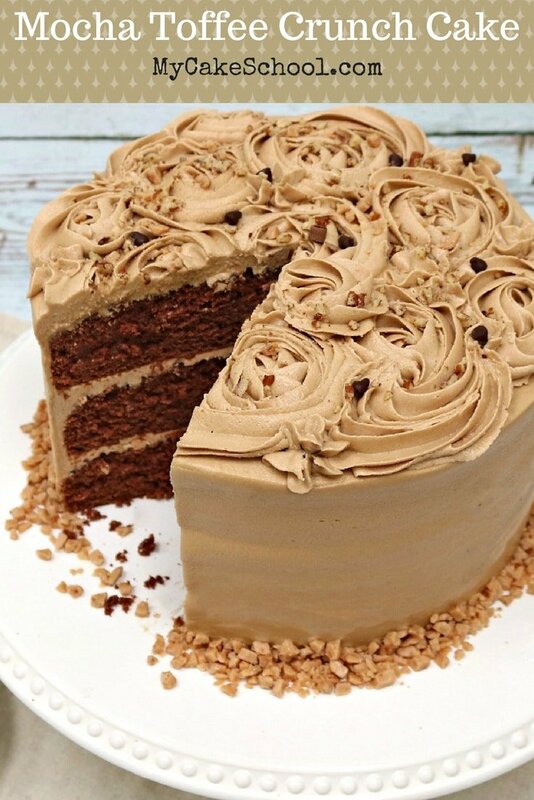 This Mocha Toffee Crunch Cake is a new favorite scratch cake recipe of ours that contains a wonderful combination chocolate, toffee, and espresso flavors! We LOVE this recipe, and there’s just something about espresso flavor that reminds me of a cozy fall day- had to include this in our roundup! This Pumpkin Praline Cake recipe is everything you love in a Pumpkin Spice Cake, with an additional layer of flavorful praline topping baked right into the layers. The sweetness and crunch from the pecans is just perfect! 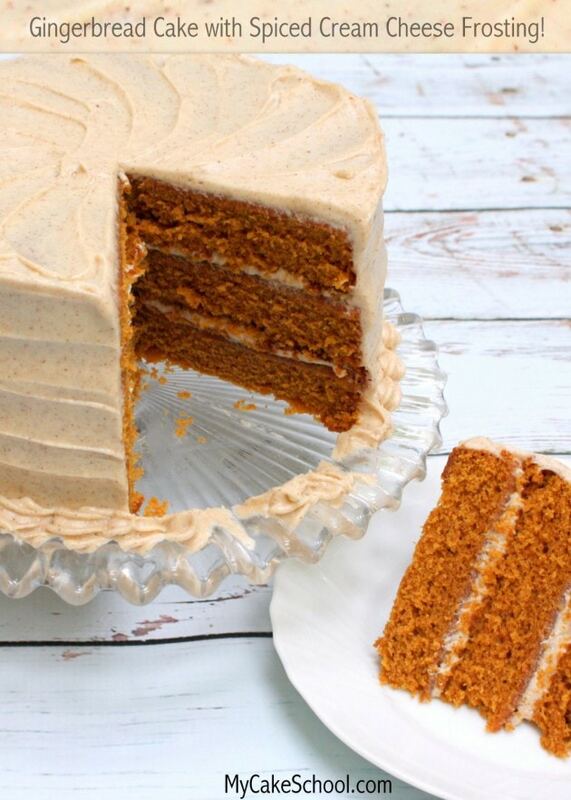 We love this fall cake recipe with our Spiced Cream Cheese Frosting. Pure heaven! Next up, another fall favorite! Caramel Apple Spice Cake is sure to please any crowd, especially for fall gatherings or Thanksgiving! 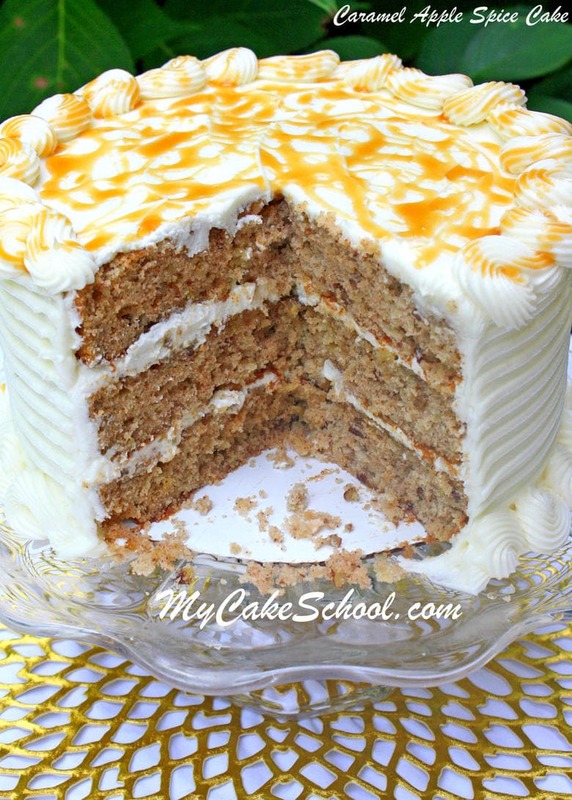 Caramel Apple Spice Cake – Apples, Spices, and Caramel! What’s not to love? SO good. Apple Spice Cake (Doctored Cake Mix Recipe)– This doctored cake mix version of Apple Spice Cake is fantastic!! We LOVE the Apple Spice Cream Cheese frosting also! 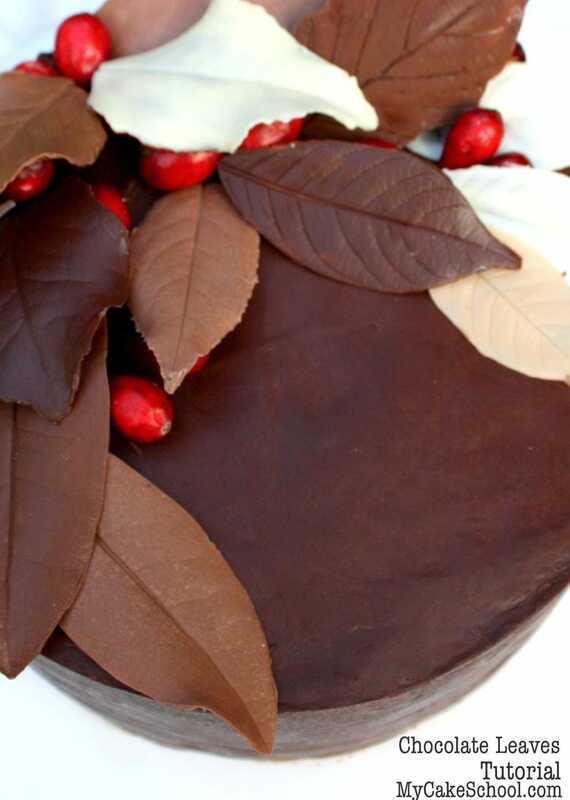 Autumn Leaves in Chocolate-This “Autumn Leaves in Chocolate” cake has been one of our most popular and most pinned fall cake tutorials! It’s amazing what you can do with a little candy coating! In this free cake tutorial you will learn how to recreate this fun fall design. Perfect for fall gathering or for the Thanksgiving dessert table! Carrot Cake from scratch! Yummmmm. 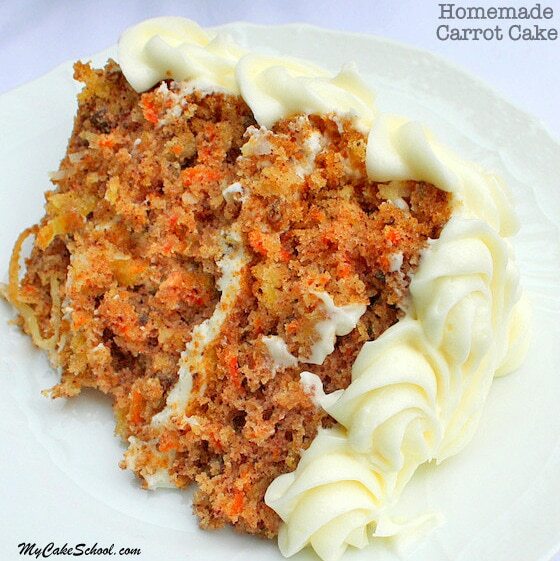 This homemade Carrot Cake is probably my all-time favorite cake recipe! Hands down, it’s the BEST Carrot Cake recipe you’ll ever make. Carrot Cake (doctored cake mix version) If you prefer working with a doctored cake mix recipe, I think you’ll love this Carrot Cake recipe! We start with a spice cake mix and incorporate delicious add-ins that take this ultra moist cake to the next level! 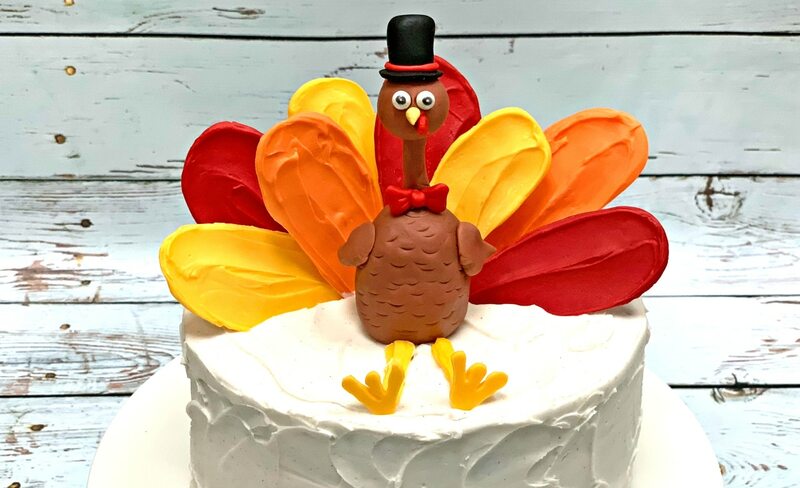 Here’s a colorful fall cake from our Member Cake Video Section. 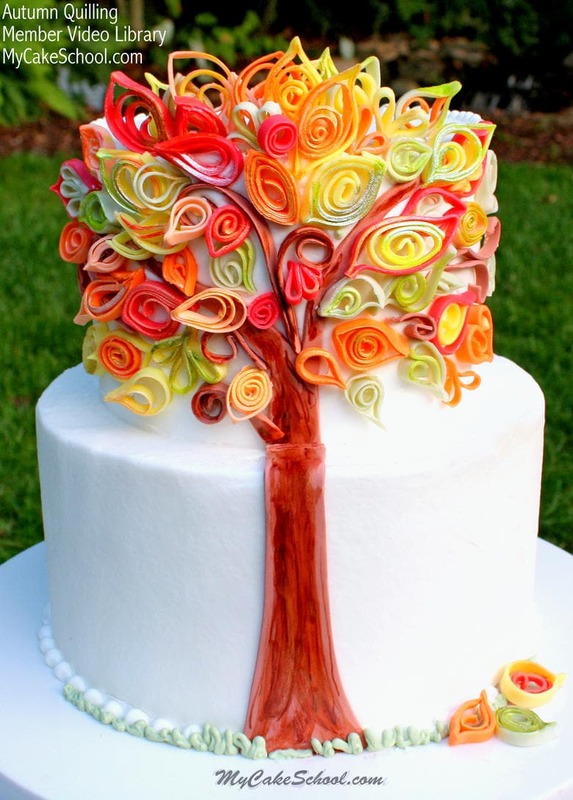 This elegant Autumn fondant quilling cake has been a really popular one this time of year! I love the bright colors and unique quilled designs. 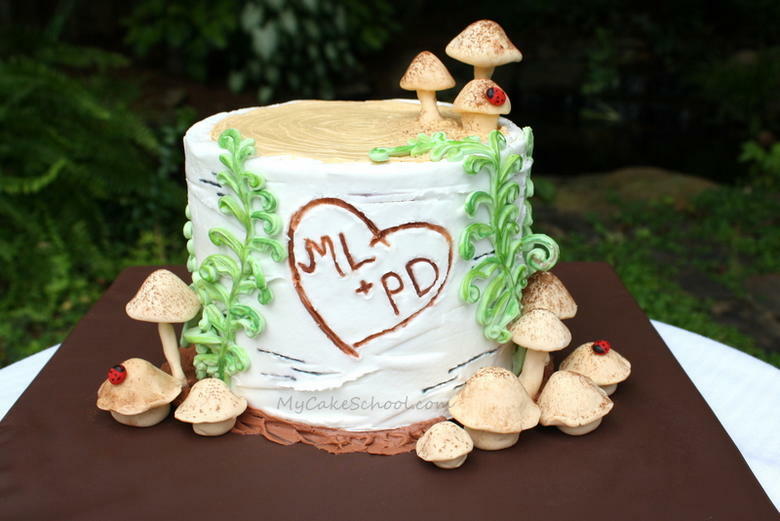 This cake design would look fantastic on a sheet cake as well! Although this cake is from our member cake tutorial section, you can get a feel for the basics of fondant quilling in this Springtime Quilling with Fondant & Gum Paste step by step photo tutorial from our Free Tutorials Section! 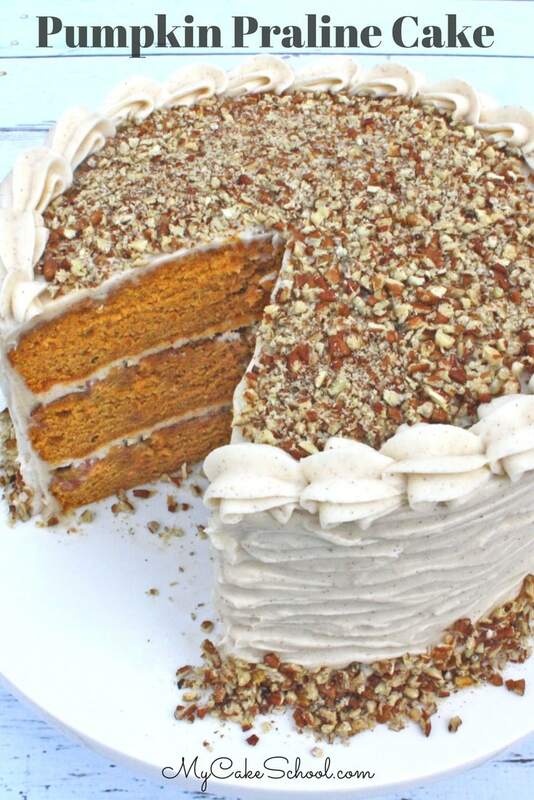 Pumpkin Spice Cake We’ve had a great response to this Pumpkin Spice Cake Recipe- it is PERFECT for fall gatherings. 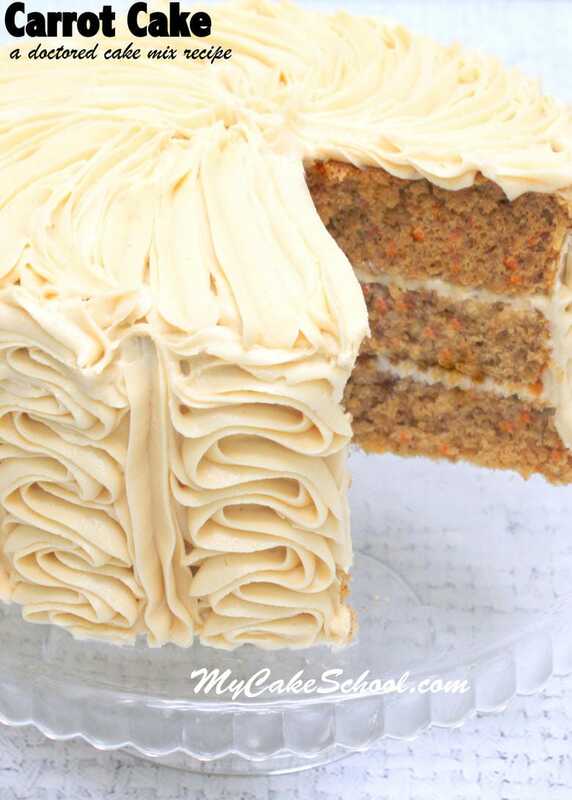 So moist and flavorful, and fantastic with our Spiced Cream Cheese Frosting! 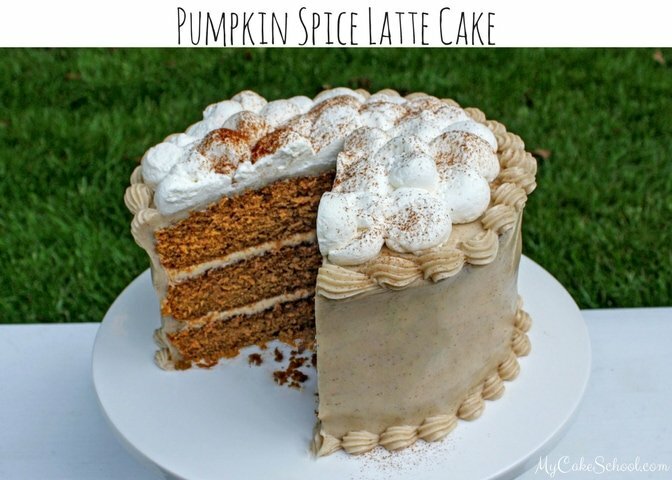 Pumpkin Spice Cake (doctored mix) – YUM! 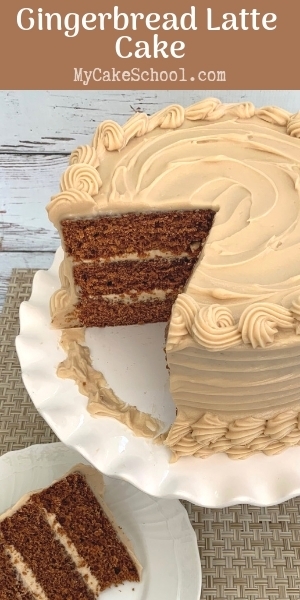 This doctored cake mix version of Pumpkin Spice Cake does not disappoint! A great fall go-to recipe! 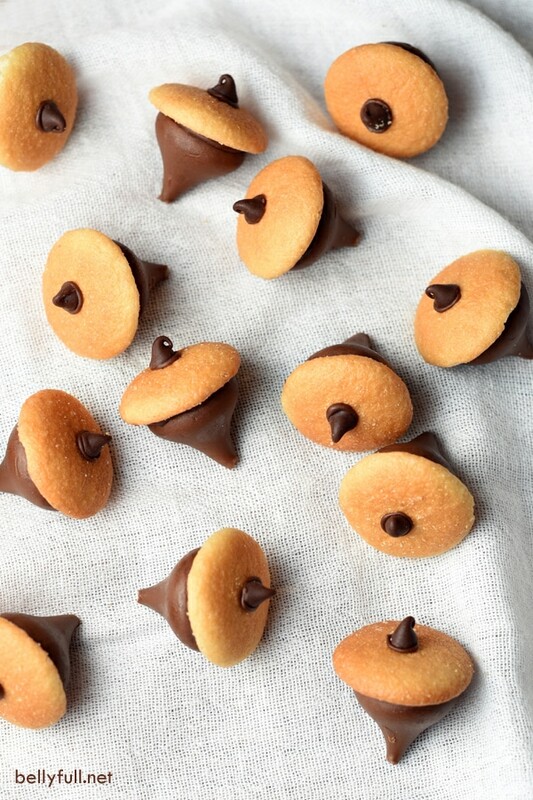 These adorable chocolate acorns by BellyFull.net couldn’t be simpler to put together, and would make the CUTEST decorations for fall cakes and cupcakes! Next up, a free cake tutorial for How to Make Decorative Pumpkins! This pumpkin topper tutorial is of our favorites for fall and Thanksgiving! They are so easy to make, and the look is just beautiful. 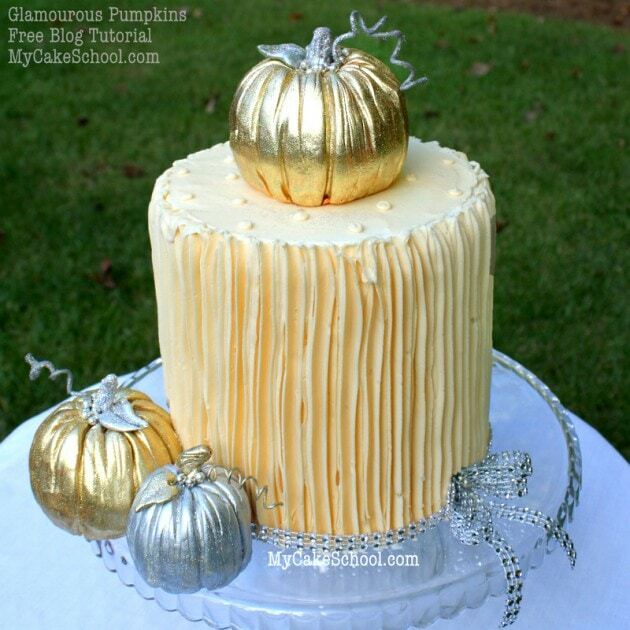 We demonstrate how to create elegant “natural” pumpkins as well as dramatic metallic ones! These pumpkin cake toppers can created quickly and easily, and are perfect for all sorts of occasions from fall birthdays and weddings to Thanksgiving cakes! How cute are these SIMPLE but impressive chocolate leaf cupcakes by the Pint Sized Baker!? Love them! 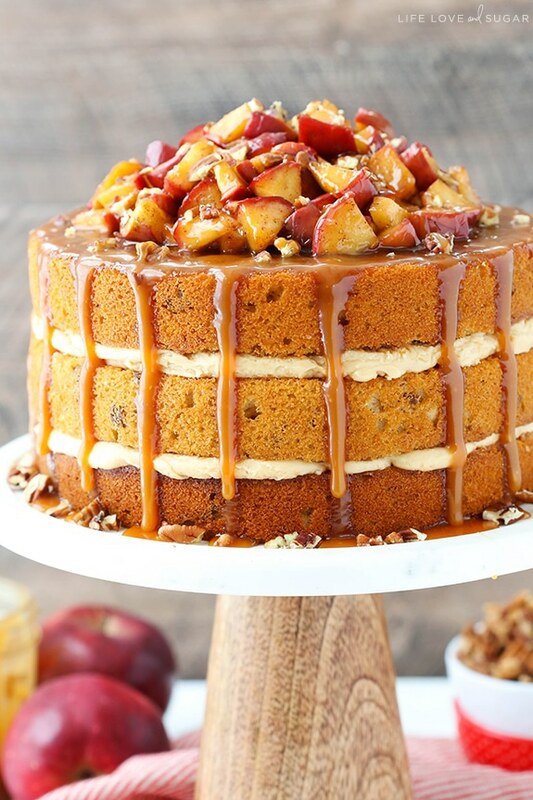 This Caramel Apple Pecan Layer Cake by Life Love and Sugar looks heavenly! 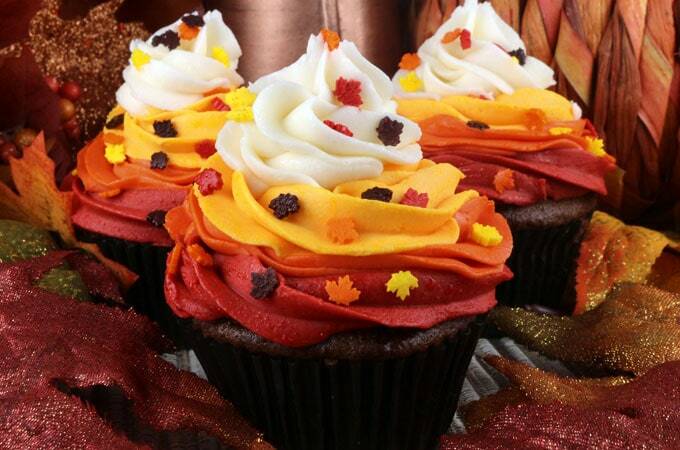 What a fantastic combination of fall flavors. 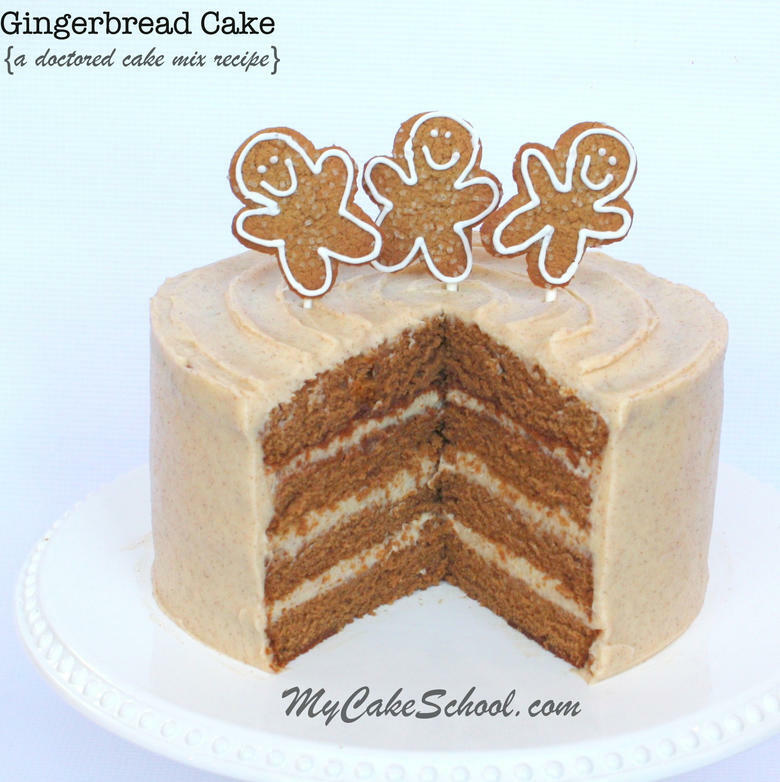 Gingerbread Cake – I love this scratch recipe for fall and Christmas gatherings! The gingerbread flavor is perfect, and completely heavenly when paired with spiced cream cheese frosting! If you need an fall or Thanksgiving cake recipe that is out of this world, look no further! We love this doctored cake mix version of Gingerbread Cake! Wonderful flavor and sturdy enough to hold up to fondant and light carving! 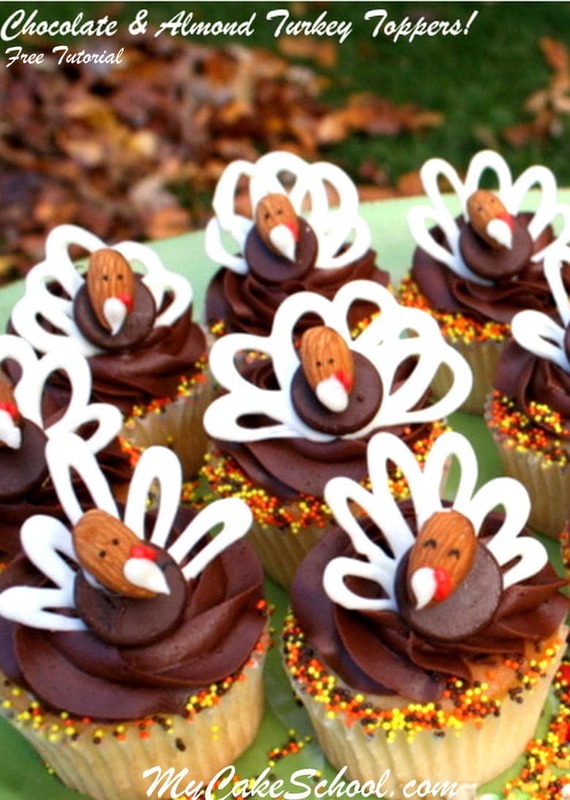 These adorable Chocolate & Almond Turkey Cupcakes are SO easy and festive! We had so much fun making them, and kids will love helping to create them too! 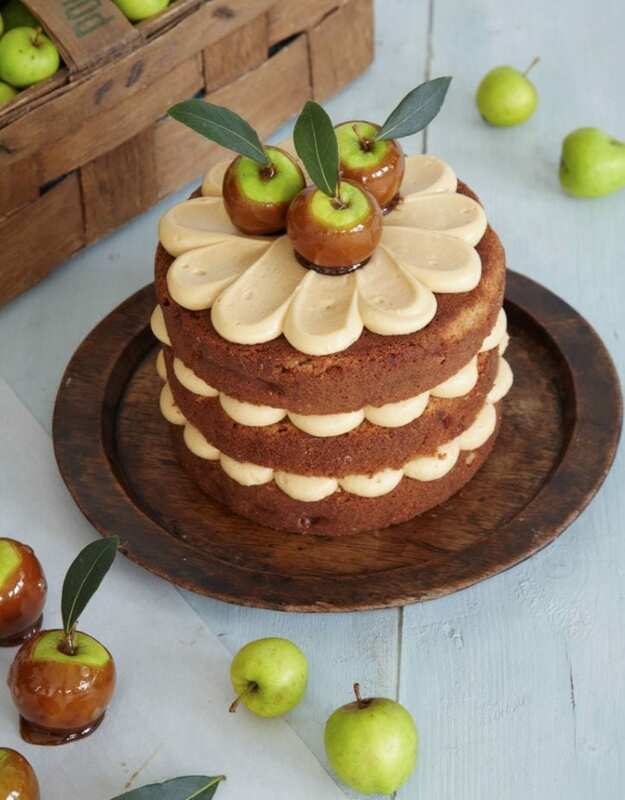 I love the design of this beautiful fall Toffee Apple Cake by Peggy Porschen! 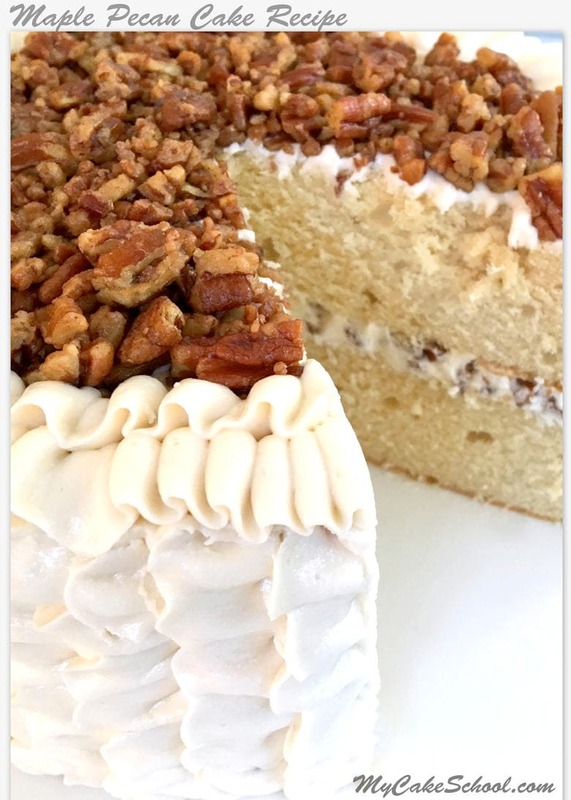 Maple Pecan Cake This cake tastes as amazing as it sounds! 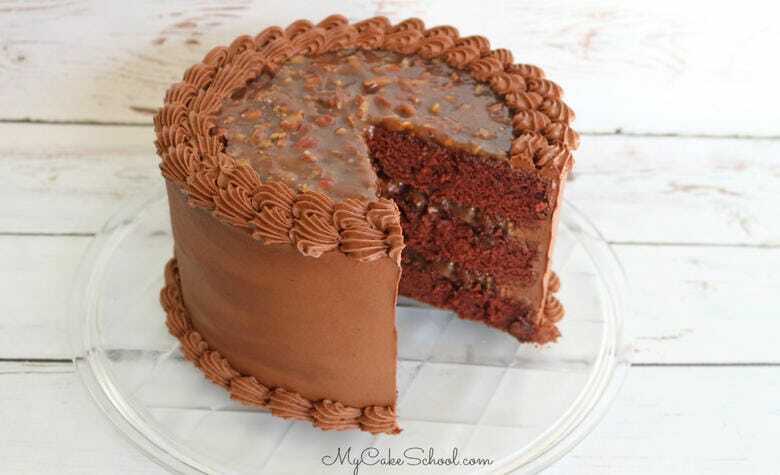 We love this flavorful fall cake– maple & pecan is the perfect combination! 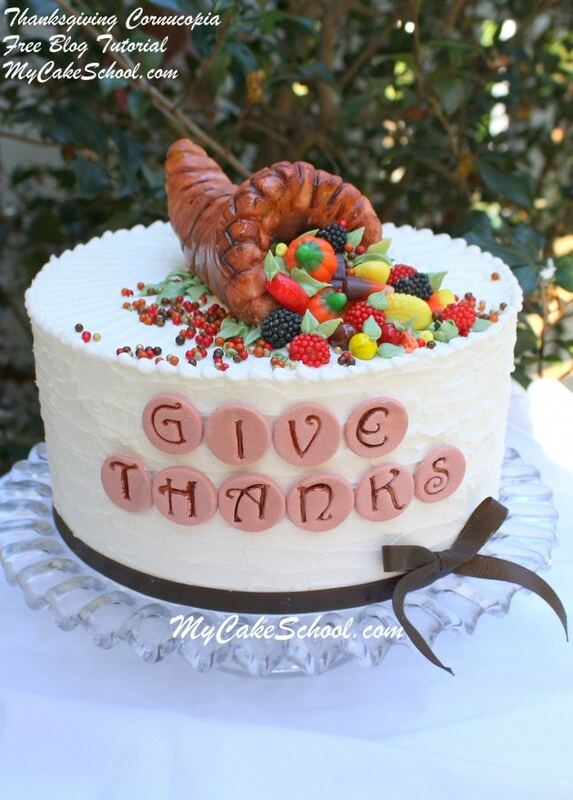 Here’s a beautiful Cornucopia cake design for you! 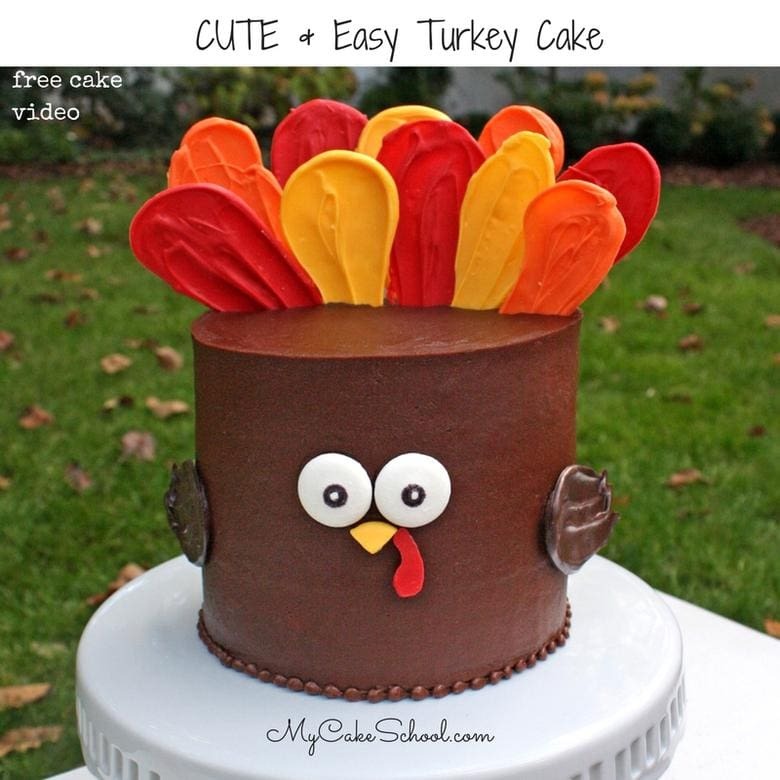 We love how quickly and easily this Thanksgiving cake comes together! 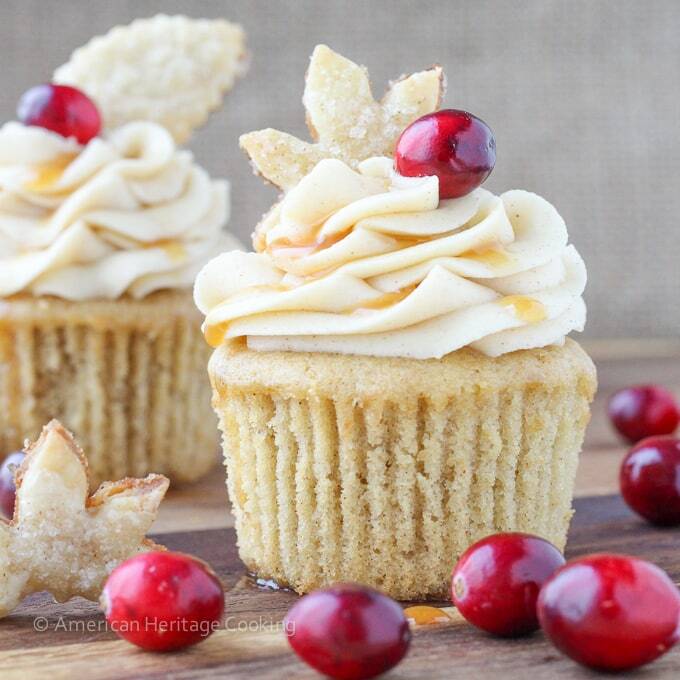 Oh my goodness, how beautiful are these Spiced Apple Cider Cranberry Cupcakes by American Heritage Cooking?! Here’s a tutorial from our Member Cake Video Section for a beautiful buttercream Autumn Birch Tree cake design! I love the colors, and I could have piped those leaves all day long- so much fun! Sometimes you just need a quick, simple, and classic cupcake design. 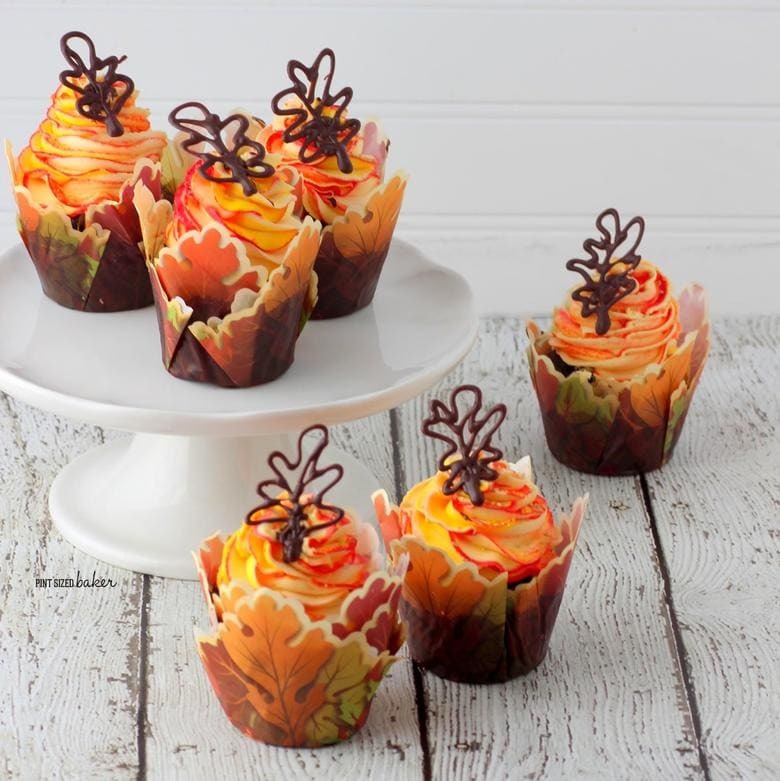 I love these lovely Harvest Swirl Cupcakes by Two Sisters Crafting! Beautiful Buttercream Sunflower Cake by ArtiCakes! 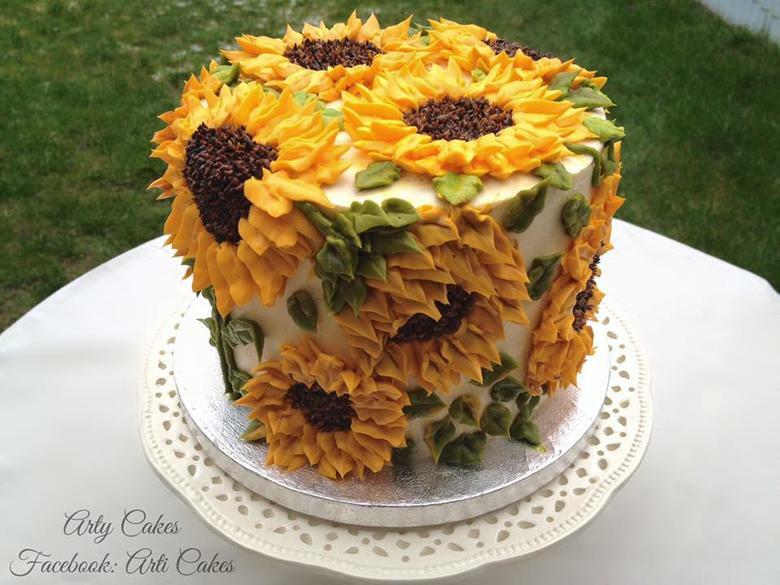 I just love sunflowers, and I love the depth and texture of this piped sunflower cake! Another favorite from our Member Cake Video Section is this lovely colorful Buttercream Chrysanthemum Cake Video Tutorial. 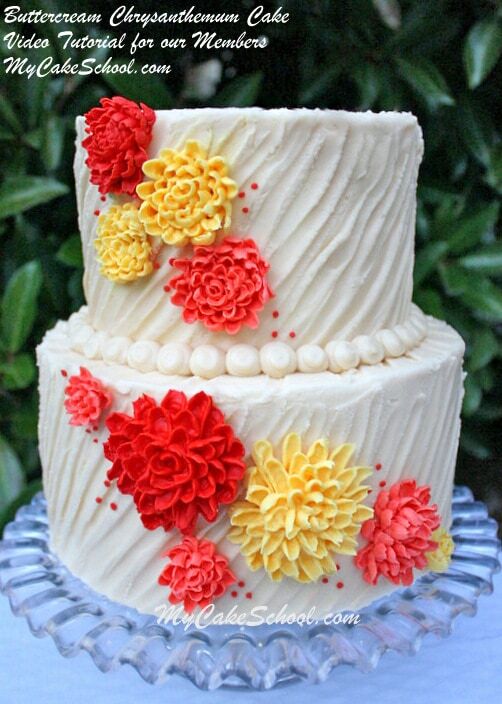 This cake features beautiful, simple buttercream chrysanthemums against a cake frosted with textured buttercream. Perfect for fall! 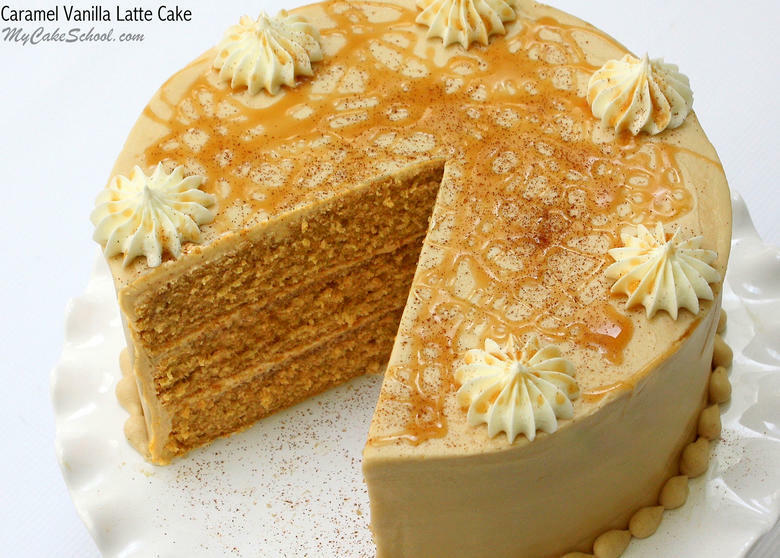 This Caramel Vanilla Latte Cake is out of this world, and in my book, it’s PERFECT for fall gatherings with it’s flavorful combination of caramel, espresso, vanilla, and spices. This homemade cake is one of our FAVORITES year-round, but especially in the fall! Also from our Member Cake Video Section, this Elegant Chocolate Gold Drip cake is perfect for fall celebrations! We demonstrate how to create a beautiful gold drip cake, as well as how to make these sweet white and gold pumpkin cake toppers. So elegant! 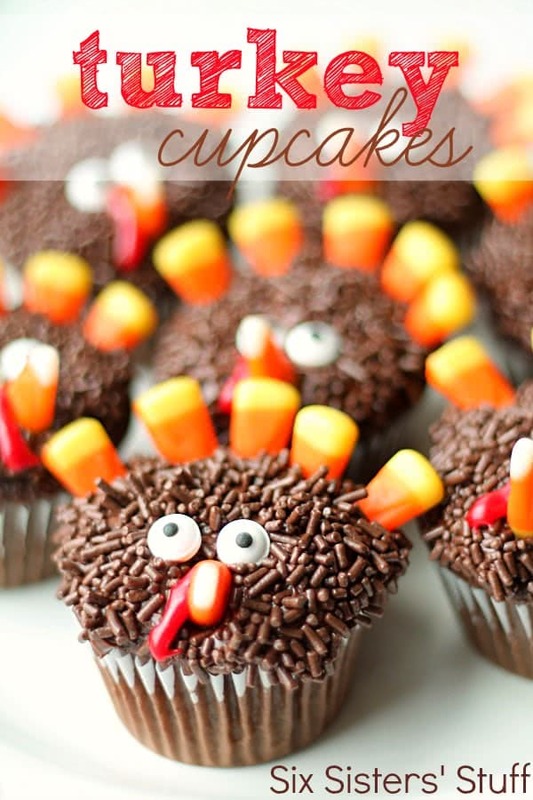 These funny and simple Turkey Cupcakes by Six Sisters Stuff are just too cute! Perfect for Thanksgiving gatherings! 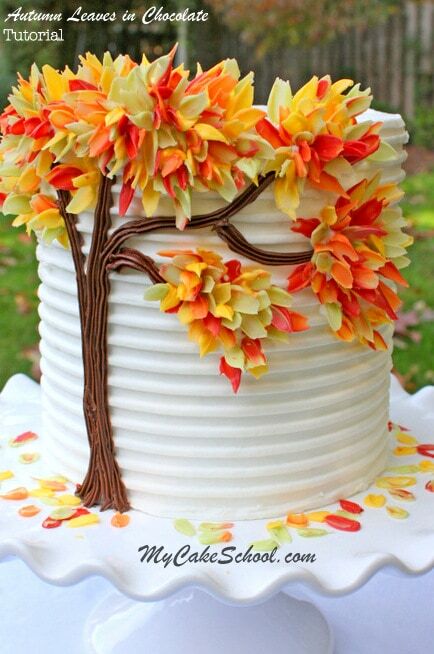 This Buttercream Birch Tree Stump Cake is perfect for fall, and the decorating options are endless! Add colorful fall leaves or acorns, buttercream chrysanthemums to your birch cake, or maybe even a sweet fox modeled from gum paste. I love that the cake can be personalized with a sweet initial carving. This makes it perfect for weddings and anniversaries too! We hope that you enjoy these ideas and recipes and are inspired to try something new! Looking for Halloween Cake Ideas? 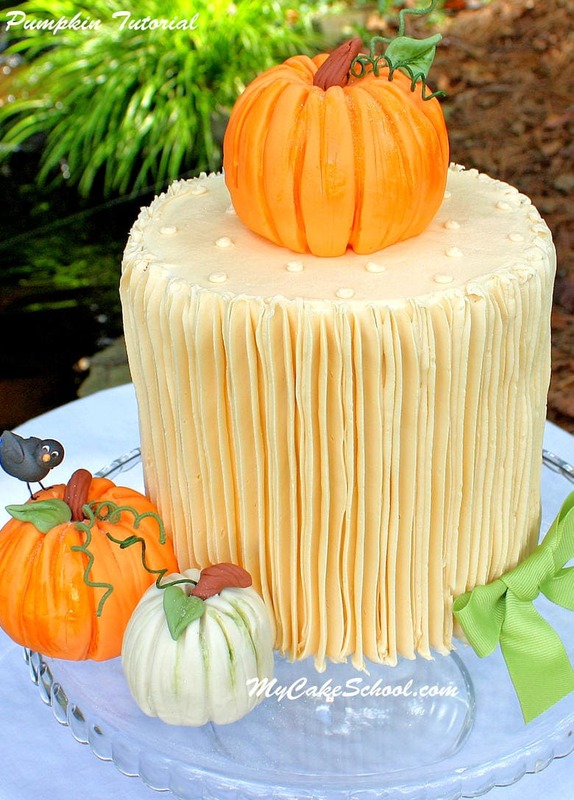 For those of you who stumbled upon this Fall Cake roundup and are interested in Halloween Cakes also, we have a separate roundup just for you! Hop over to our Roundup of favorite Halloween Cakes, Recipes, and Ideas! I am interested for the cake turorial thank you so much.? Fantastic Roundup! I love Fall – the trees are looking beautiful way up north here :-) Loads of ideas! Beautiful cakes! I’ve tried several of them, and they’ve always been a hit (especially the Birch tree design)! !